Does your midnight snack diet menu got you do jump ropes in the middle of the night because you are worried you’re going to get fat? Here are healthy foods that you can live with and even watch of movie after eating. Is eating late, safe? Just by adding healthy easy-to-digest low-calorie foods to your diet menu for a midnight snack can keep you from getting fat. We all know to well that eating late at night getting the midnight munchies is a sure recipe for disaster when it comes to diet and exercise. Not that anyone is there to tell you "I told you so," that doesn't stop people who have exams to cram for, late nights at the office, or parties to come home from and indulge a little more before calling it a day. That is why in this column we are going to introduce foods that are safe to eat (less likely to make you fat) at night giving you piece of mind making a healthy choice even after eating before hitting the sack. What's on your midnight snack diet menu? When choosing what foods to include in your midnight snack diet-menu, it's most important that you consider the following criteria into your decisions. The calories you take in eating late or hard to burn off. The reason why the statement "Eating late makes you fat" is commonly accepted as true is that leftover calories (unburned energy) is stored directly as fat. 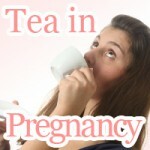 Digestion can intervene in a good nights sleep. That is why it is better to limit what you eat late at night to foods that are easily digestible to sleep better and not affect your appetite the following morning. Here's a list of dishes that we've put together following the criteria addressed above containing foods containing 300 calories or less that you can eat late at night without having to make up for it later… Oh wait, there is no later. This is why we've put this menu together in the first place – to keep you from having a bite of that juicy hamburger you happen to pick up on the way home and conveniently storing the shame away by saying, "It was just a dream." Don't fool yourself into thinking "Thou shall not gain weight by eating foods containing 300 calories before bedtime." Although there are testament of people living entirely on fast food without getting fat, that doesn't mean it's necessarily right for "you" or healthy at all. Learn to start trusting your gut asking yourself, "Do I really want to be eating this before I go to bet?" Yes, if it's on this menu you can. 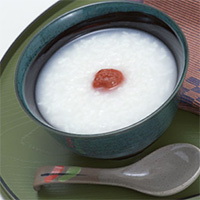 Traditionally just rice and water, rice pudding, rice porridge, rice gruel, or "Okayu" as it is called in Japanese is the eastern contemporary for oatmeal. Okayu not only low in calories is easily digestible going good with you stomach. There is no surprise that it makes this list, allowing you to get the filling you need before going to bed without the awkwardness of waking up thinking you did something you are going to regret later. Thinking about trying the Okay-diet? If plain old porridge isn't doing it for you there is always the option of adding something extra. However, do keep in mind that what you add can make are break the benefits you get out of eating rice porridge. 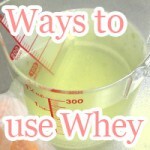 Adding easily digestible ingredients such as eggs, radish, or carrots is recommended. For times when you don't have the time to make it from scratch, it can be made conveniently using store bought just-add-water alternatives. If you are someone who finds yourself eating late often, keeping ready-to-make packs of rice porridge in the cupboard or your pantry can be a lifesaver. There are times in a person's life that require adding new words to your vocabulary. 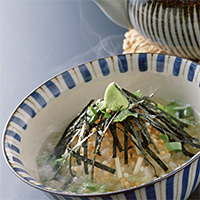 Ochazuke is one of them that you need to add to your diet as well. The nice thing about it is that it's basically just "tea over rice" that comes in neat little packages resembling the flavor you to be added to your Top Ramen. There pouring hot water – green tea - over your rice has an added benefit, which is that it's simple and easier for your body to process than rice alone. The fact that its as easy as making a peanut butter sandwich, lower in calories, and gives your stomach a "Hi pal, nice too see you again" every time you meet midnight make keeping your weight down and learning a word in a foreign language a piece of cake, figuratively speaking. There is only one word of caution I would like to bestow on the reader, "Don't poor too much Ochazuke over your rice!" This goes to say "don't turn your Ochazuke rice into mush." I know that there are those of us that like their mush "watery," however it is to your benefit that you don't drown the pour little rice. When things get mushy it becomes truly hard not to eat your food without chewing. This does not help with digestion. That is why it is recommended for what its worth that you chew your food while eating. Now you are ready to chow down with the feeling of a Zen garden in your rice bowl. 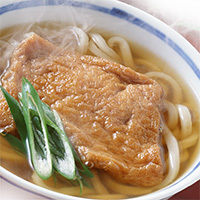 There are many types of noodles common native to Japan such as ramen and soba. Udon is one of them that you can eat at night if that's what you're into. "289 calories! Isn't that pushing it too for?" you might be asking at this point. Yes, that's right you're living dangerous now; but it is what it is, 300 calories that is. Although this gives you little wiggle room to add topping, you should be telling yourself "At least I get to eat noodles" at this point, because compared with the Nabeyaki Udon (517 Calories) you usually get when eating out, Udon with no sides of fries is what Gandhi ate after the revolution. When making your Udon noodles make sure to boil well enough to better aid in digestion. Properly cooked Udon noodles fatten up making the little portions you began with turn out to be a big deal in the end, sure satisfaction even before devouring every last bit. "Can a person get a bowl of Miso soup around here?!" is not a question that you have to ask. The food as much a staple as rice is and has been around since before there was ramen. With only 24 calories per serving, it comes right after eating mushrooms. Although the number of calories in your Miso soup may differ with what ingredients you choose to add, it is easy to digest and most suitable for any curveball you stomach might throw at you into the night. To avoid saying "Miso soup alone just doesn't cut it when I've got the munchies late at night" consider adding more ingredients into the equation. 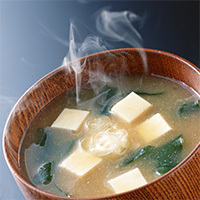 Miso soup being low in calories gives you some flexibility in choosing what would make it better. Again, don't forget to take digestibility into consideration when adding your "-ness" to top off your soup. 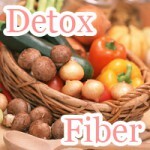 Although vegetables are low in fat, they can be high in dietary a fiber, which impedes the digestive process. 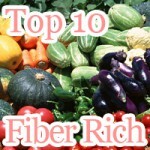 So incorporating vegetables with lower dietary fiber content is recommended. 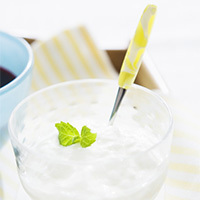 Plain (unsweetened) yogurt not only gives you the kick you need during late hours is also low in calories. Adding sugar greatly affects the amount of calories it contains. Consider the difference between brands such as Yoplait Original and its lighter counterpart; the number off calories you get as much as doubles! Carefully checking the labels before buying a particular brand of yogurt is a must, because not every brand will make the cut. Nowadays there is an assortment of yogurts to choose from including fat free, low-fat and flavors you never thought existed. What's new on the street is a little something-something called "hot-yogurt," which takes its roots from India where hot-yogurt-soup is awesome. Try it out. You never know you might like it. 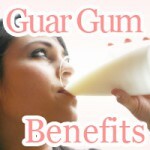 Do you know the hot-yogurt diet?? As they say "Eating fruits is like lead before you go to bed," there are many of that cannot be sure that eating fruits late at night is a good idea or not. In fact, the vitamin and minerals that you get out of eating fruits supersedes the potential downsides they have eaten before going to bed. When eating fruits as a late night snack its better to stay away from overly juicy fruits that generally aren't a good idea because there runs a chance of having to wake up and go to the bathroom in the middle of the night. 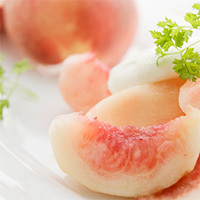 The best choices other than a banana are an apple (162 calories) or a white peach (68 calories). A morning banana diet that you can do as soon as tommorow!! Gelatin snacks such as Jell-O although sweats are contain very low amounts of calories. 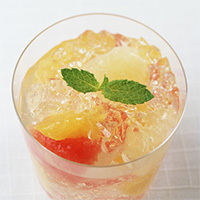 No calorie "jelly" has swept Japan and is said to be one way how Japanese women are staying thin. In fact, the same is said to be achieved with Jell-O not adding sugar, which saves you time from trying to find a store that ships internationally. Be careful when eating "coffee jelly" because it may contain caffeine which could interrupt normal sleeping habits. Don't turn eating late at night having a midnight snack into a habit! If you think that just because something is low in calories turning late-late night snacks into habit is a good thing, then you are only setting your self up to gain weight if not fat then gradually. As you put on weight, leptin activity slows down. This means the more weight you put on; the harder it becomes to return back to normal. Scary, right? This is why you must not overdo eating late at night. Don't worry it doesn't happen over night, so feel free to treat yourself every once in a while after a long day. You deserve it. Does eating rice make you fat? Over 124 million and strong will never prove your wrong. Figure out how Japanese people are doing it. Eating rice and staying skinny. With recipes like these you can eat yogurt everyday sparing the boredom. Stop buying Greek yogurt and start making it yourself. Save big on frozen yogurt and smoothies that you don’t have to go to the store to get no more. 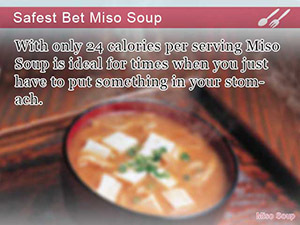 With only 24 calories per serving Miso Soup is ideal for times when you just have to put something in your stomach. 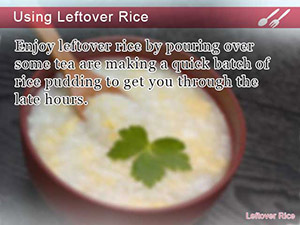 Enjoy leftover rice by pouring over some tea are making a quick batch of rice pudding to get you through the late hours. 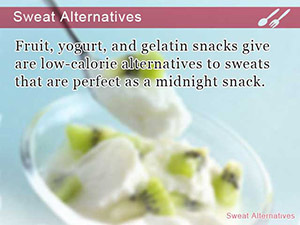 Fruit, yogurt, and gelatin snacks give are low-calorie alternatives to sweats that are perfect as a midnight snack.